I nearly missed my 6th anniversary but luckily checked out the date just in time! So much has changed in 6 years. When I started out, after encouragement from hubby, I knew nothing about blogs, social media or anything remotely techy. What I did have however, was a life long love of food and Home Economics (won the school prize and went on to study at A Level). So much has change in 6 years, the early posts were shot on cheap digital camera and uploaded straight into a post with no editing what so ever. No wonder I was managing to do about 3 recipe posts a week back then, I was completely taken with blogging. So been a very steep learning curve and I’m constantly learning new thing. Now the blog is not the hobby it once was the posts are less frequent as there is a whole circus that has to take place for every recipe post now. My dining room has become my studio and I’m wearing all the hats a big business has departments for. I would like to give a big shout out and thank you to hubby for being the technical department as without him there would no Fab Food 4 All! He recently installed the new them update which you may or may not have notice! 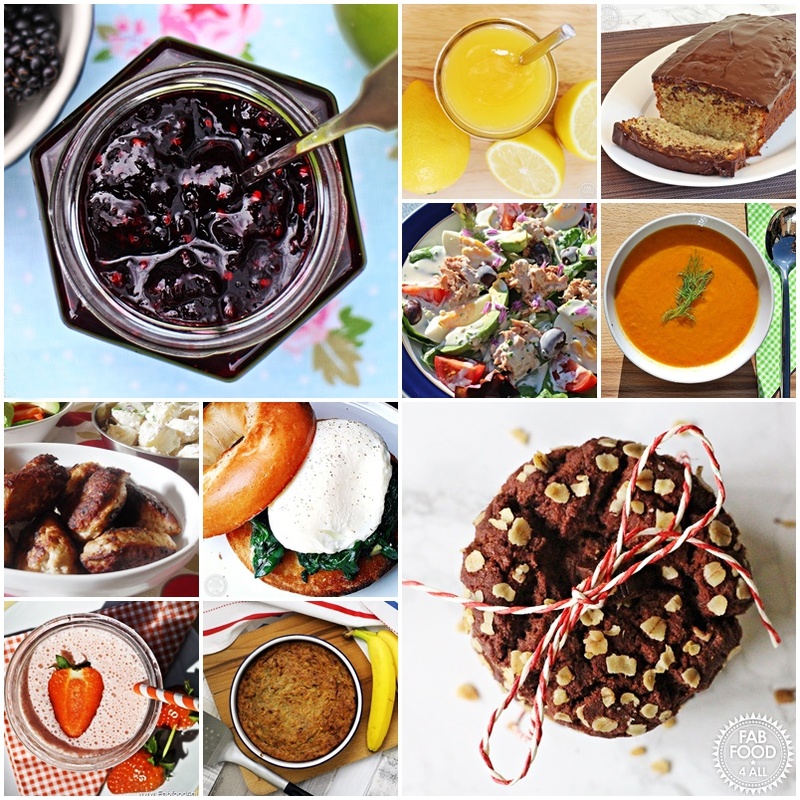 So to celebrate Fab Food 4 All’s 6th anniversary I thought I’d share my Top 10 Recipe Picks – some popular and some not so popular dishes that I think deserve a spotlight! 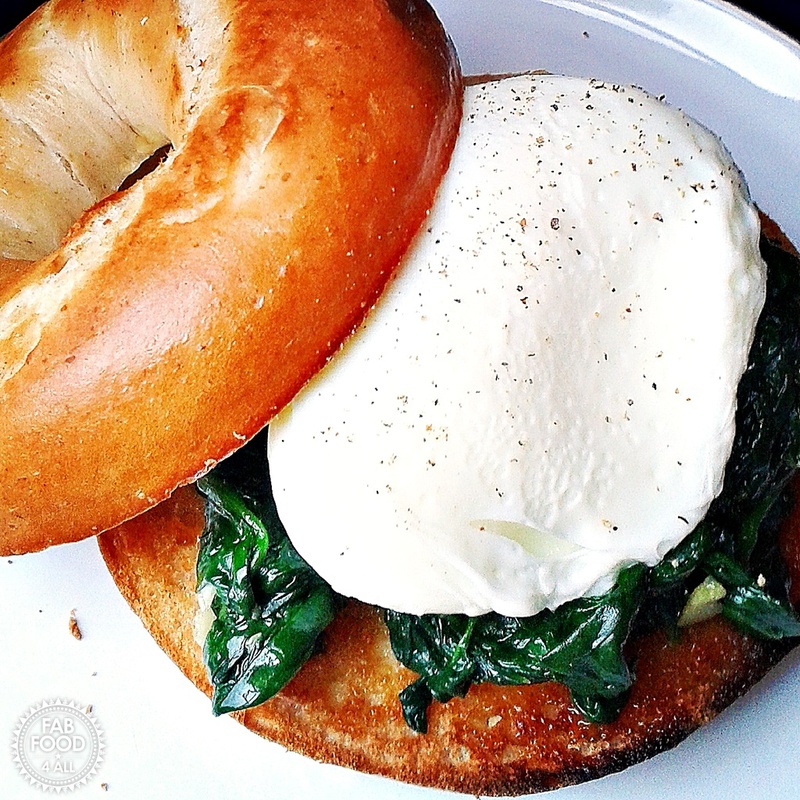 This has become one of my favourite brunches and my kids love it too. Whenever I come across some reduced spinach I usually make this. Wash it down with a glass of orange juice to release all the iron in the spinach! This is quite an old post and never really got the love it deserved. I worked in catering briefly and this soup was one of the top sellers which I re-created from memory. So if you haven’t tried it yet I thoroughly recommend, it has a lovely creamy, garlicky vibe to it. 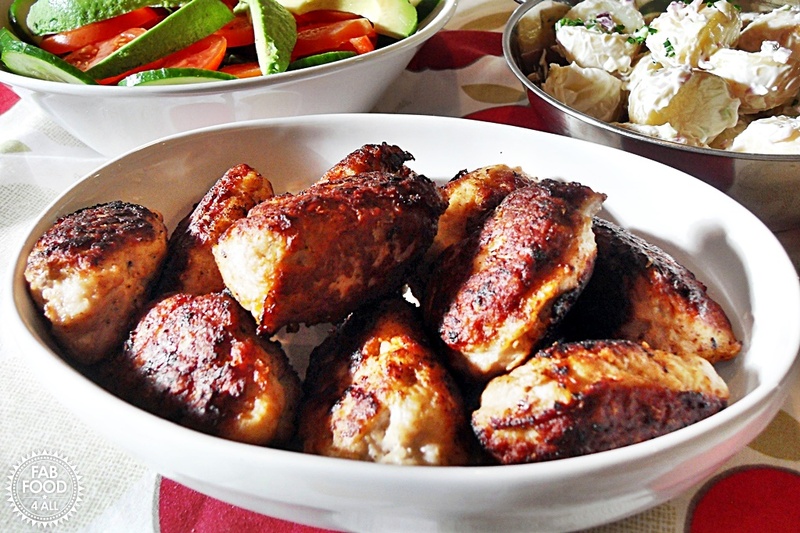 Frikadeller were my favourite dish as a child and I still love them today. Having a Danish mum means that many of my culinary influences are Danish. These meatballs are light and almost fluffy compared to your usual type of meatball and made with pork mince. 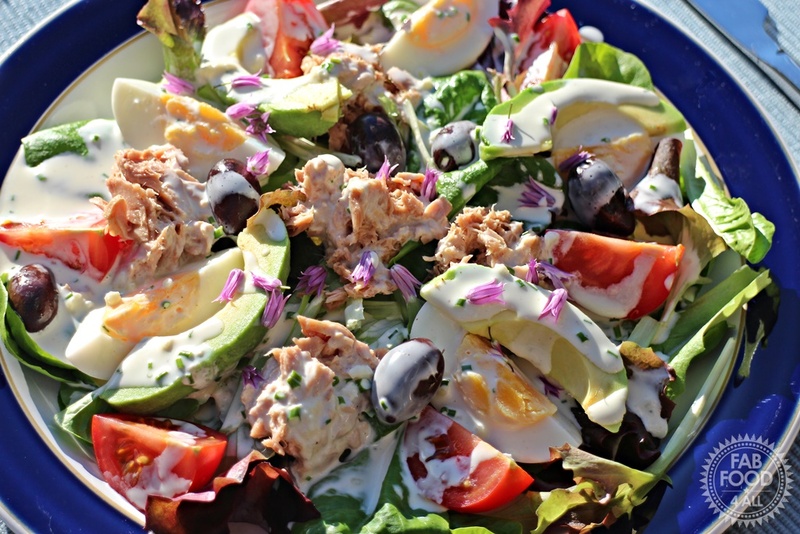 I love salads when the weather gets warmer and I think this Quick Nicoise Style Salad is my absolute favourite. My family love it too and as my daughter became a vegetarian recently I omit the tuna for her and give her extra boiled egg instead. I’m sure we’ll be having this very soon as it’s a really quick meal to put together. 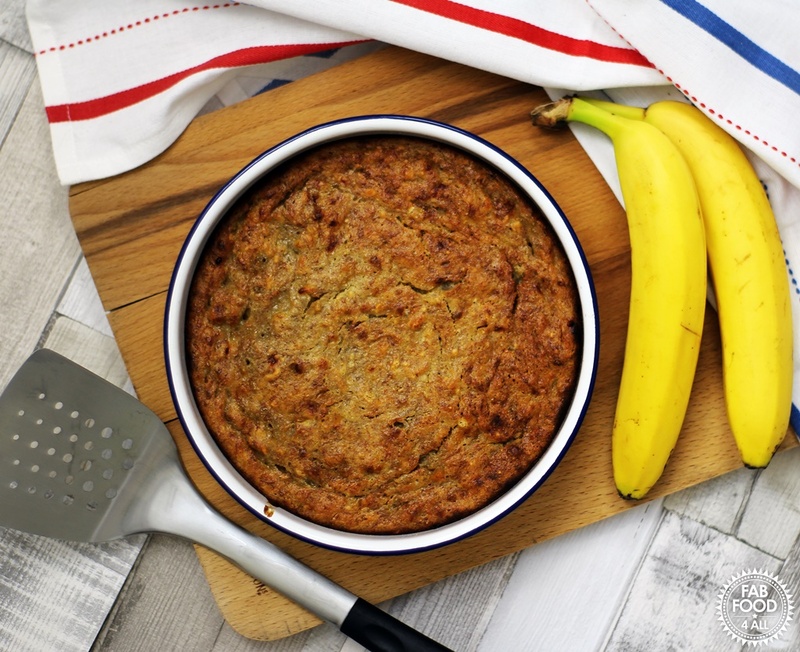 Whenever I have a bowl full of bananas go over-ripe on me they always get turned into Banana Pudding, it has a lovely crispy exterior and gooey middle. Simply delicious served with ice cream! I seem to be a bit banana obsessed! 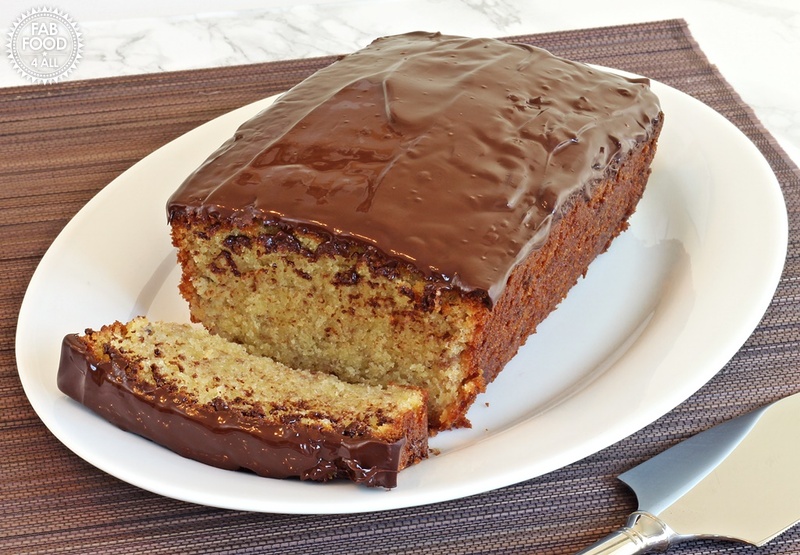 This is my mum’s recipe and just like when I was a child, the chocolate topping never gets a chance to set before the family demands a slice. Do try it, I’m sure you’ll love it too! This is a recipe that I begged for on my last day at college from the canteen ladies. The thought of never having one of their Chocolate Melting Moments again was just unbearable. I remember having to scale it down a lot as the quantities were for a canteen full of hungry students! 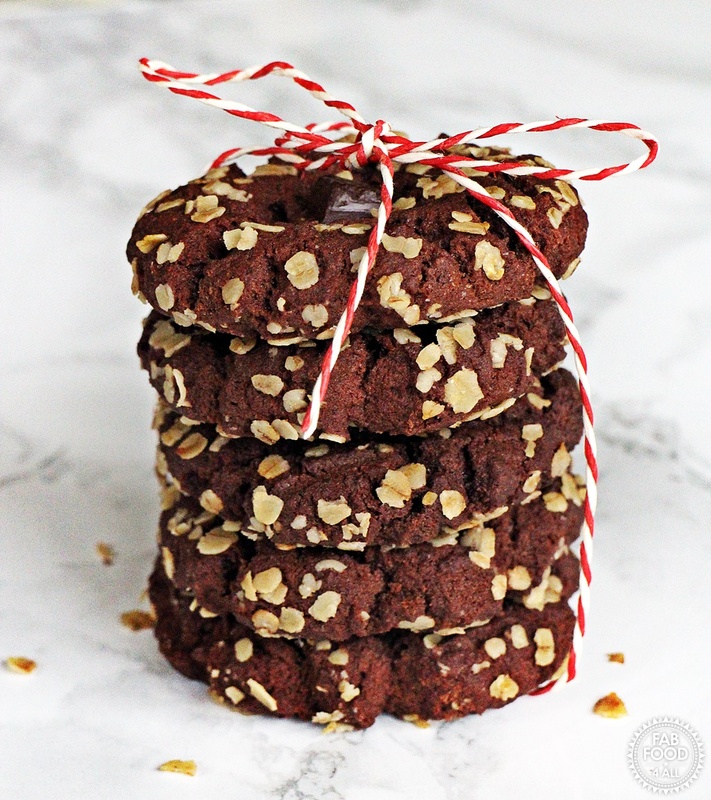 Still love these cookies that live up to their name! 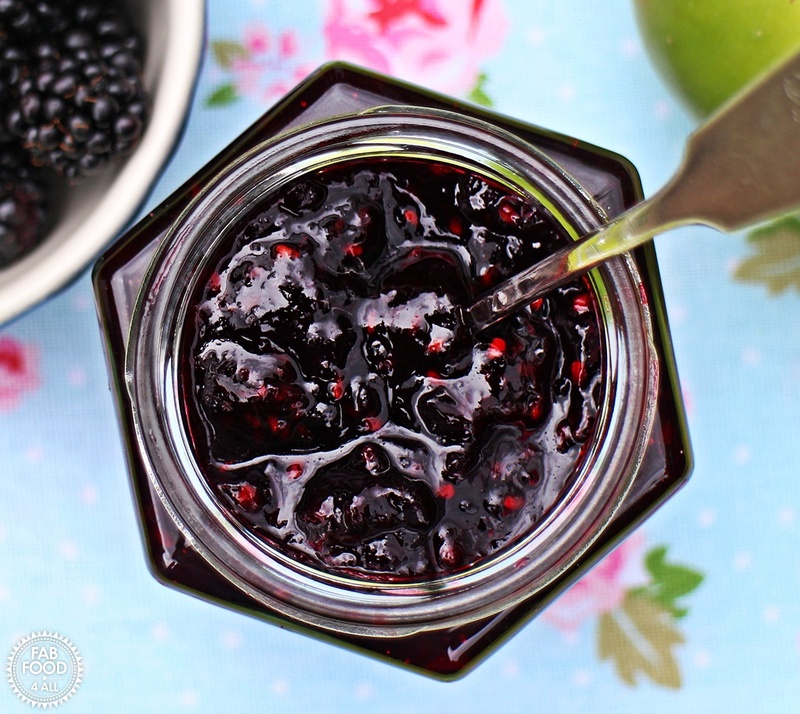 All my jams are like are like children to me and it’s difficult to have favourites but if I had to pick one it would be my Blackberry & Apple Jam – it’s one of my most popular posts each year due to not only its taste but the fact that I simplified the process by using just one pot instead of 2 to cook the fruit! I was very late to making Lemon Curd but my granny used to make it a lot. For years I’d had my granny’s half written recipe in my index box, so a few years ago I decided to give the very scant instructions some clarity. It was so incredibly quick, easy and delicious that I kicked myself that I hadn’t made it years ago! It’s developed quite a fan club too as I often see it being recommended on Twitter! 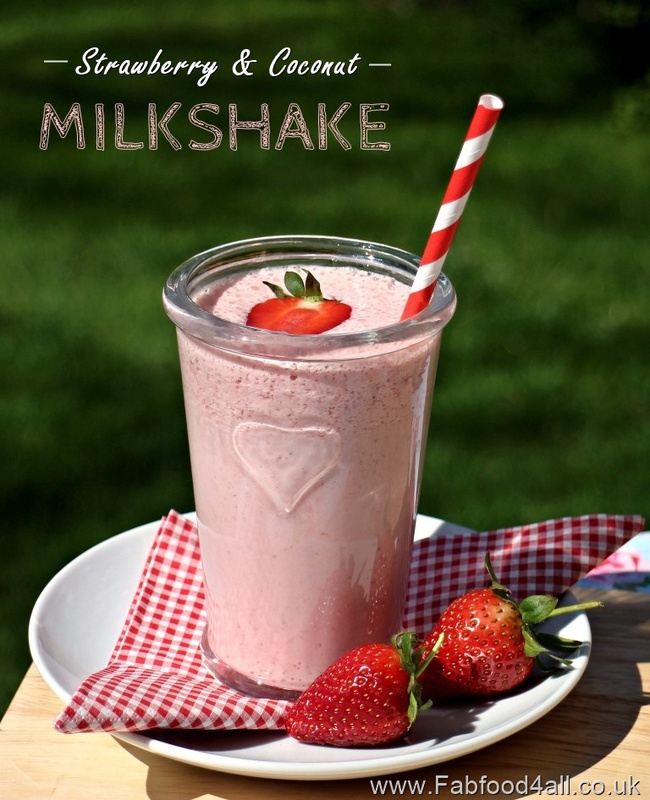 During the summer months we’ll often have this Strawberry & Coconut Milkshake as a dessert as it’s made with ice cream and so delicious and refreshing. Lets hope the sun comes out soon and we’ll start having this again! So it just remains for me to thank you the reader for being with me whether it’s been for 6 years or 6 minutes, there definitely would be a blog without you and I have to admit that your wonderful comments fill my heart with joy. I might have virtually held your hand while you’ve been making jam or brought back your love of cooking, to me this is the most important thing, helping you whether it’s with something technical or to get you out of a cooking rut and if you’ve never cooked before (I did that post for students) then to sow that seed. I must also thank all my fellow food bloggers for keeping me on my toes and all your moral and practical support, again I couldn’t do this without you. Finally I have to thank all the wonderful brands I’ve worked with, some of whom saw my potential from very early on, that belief spurred me on and allowed me to become the professional food blogger I am today! So here’s to the next 6 years and beyond! Why not pin my Top 10 Recipe Picks! Previous Post: « Quick Spinach Soup – with vegan option! Happy Blog anniversary! What an amazing blog – please keep it going for at least another 8! 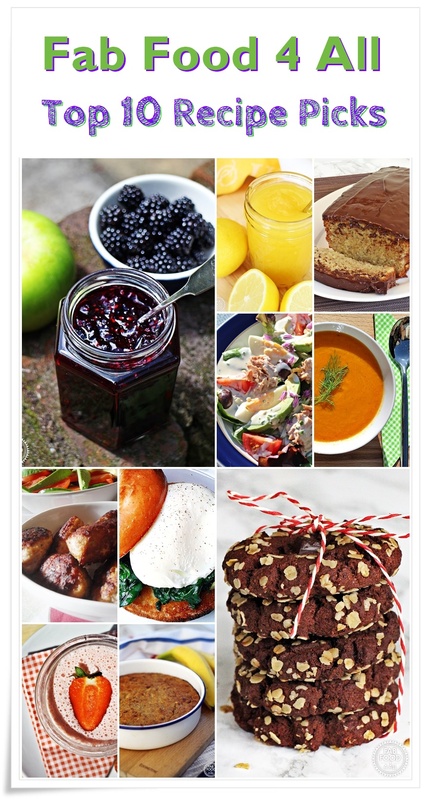 Your recipes are so good – I can’t wait to try more of them! Congratulations on your 6th Birthday! I’m just a wee bot behind you with my 6 years approaching in August. You are absolutely correct that so much has changed in that time – what will the next six years bring I wonder? Out of the recipes you’ve shared here I really fancy giving the Frikerdeller a try. Congratulations on your 6 year blogiversary! I love the look of those Danish meatballs.